It would probably be best to enjoy this sweet Apricot Buttermilk Pie with a big floppy hat, a Scarlett O’Hara inspired dress, some sort of lavish front porch, a glass of iced tea, and a slow-drawl Southern accent. If you don’t have those things… not to worry. This pie, with all of its charm and Southern roots, will welcome you all the same. Iced tea is encouraged… a hat, too. Buttermilk Pie is a simple custard pie made of eggs, melted butter and buttermilk. In this variation we’re adding dried apricots and bourbon for a bit of summer sweetness and boozy appeal. I like this pie served chilled to really set the custard base, and served with a tart apricot sour cream spread to balance the sweetness of the pie. It’s a beauty! A buttermilk pie is so much more than buttermilk. Buttermilk gets all of the credit, but really… eggs, brown butter, and sugar do the heavy lifting. 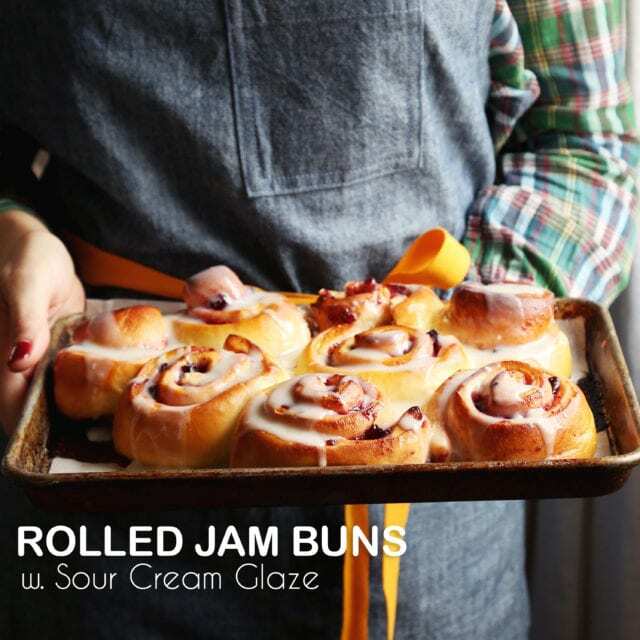 Bourbon, lemon, and vanilla play important supporting rolls. 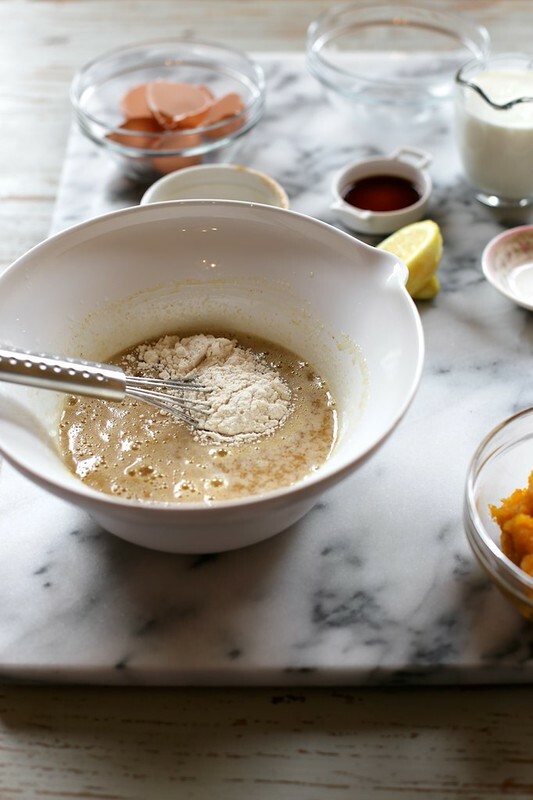 Flour for thickening. Buttermilk to stop the show and take all of the glory. Apricots are my favorite fruit and I’m surprisingly picky about baking with them. With apricots only in season for a few months a year, I always find that I shove all of the fresh apricots in my mouth before I get a chance to bake them into anything sweet. Dried apricots are my friend. All of the apricot flavor with none of the agony of baking fresh apricots. For this pie, I poured a bit of boiling water over the dried apricots, added a splash of bourbon, and let the mixture sit for a bit to soften the dried fruit. 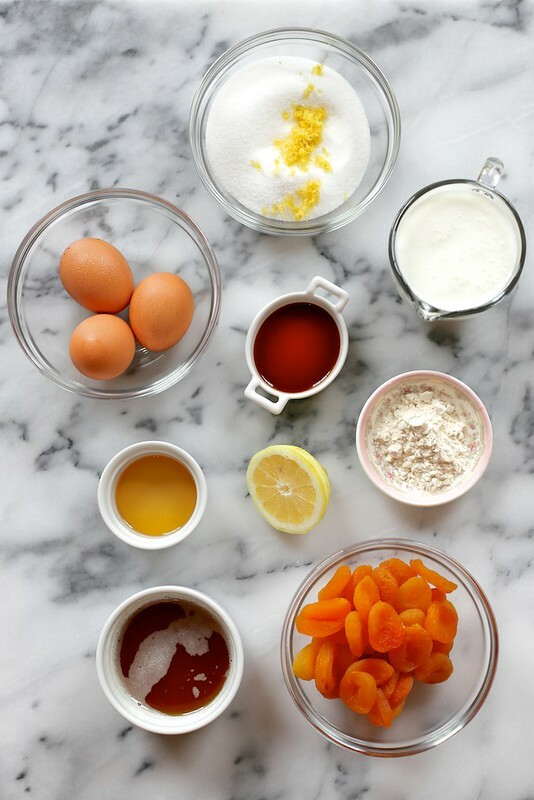 Once softened, the apricots are pulverized in a food processor, liquid and all. We’re going for a slightly chunky paste that resembled a fruit roll-up before all of the rolling-up. Eggs first. Sugar, melted and browned butter, vanilla, and buttermilk. All of the things in the bowl. Just go on! Apricots are whisked into the custard base. Everything in! Nothing left behind! What is a pie without buttery pie crust? 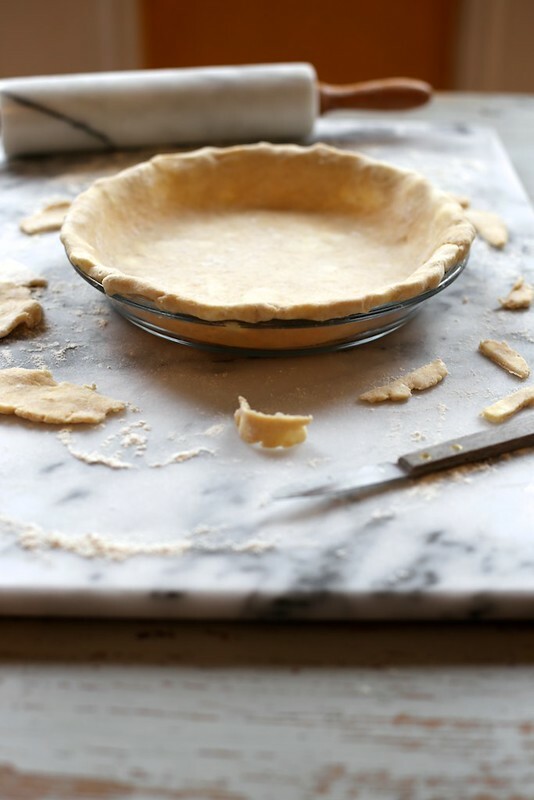 Pie crust is rolled, coaxed, trimmed, folded, and crimped into a pie shell. 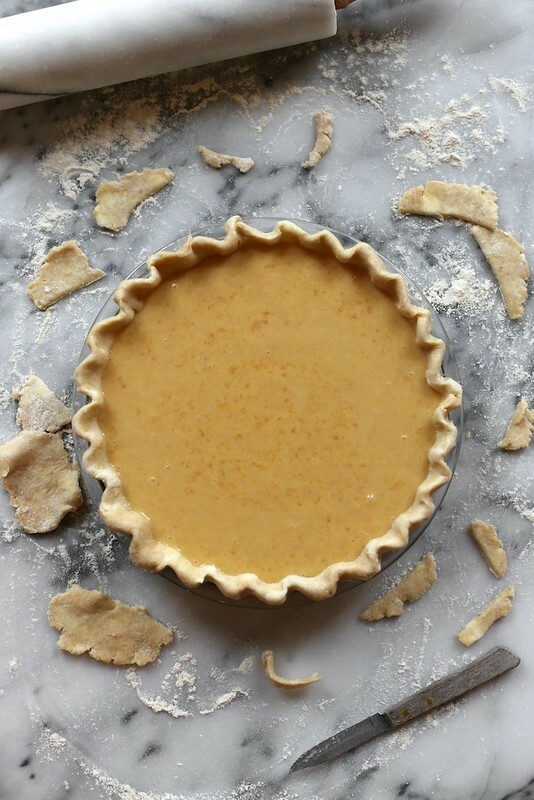 The pie shell is filled with sweet apricot custard and baked away. The custard will set and the peach color will deepen. Once cooled and chilled through I topped the pie with a simple apricot-studded sour cream spread. This pie is humble, sweet, and just… pretty. The baked custard is smooth with bits of dried apricot adding just a bit of bite. The crust is buttery and golden crisp. Summer pie, simple and lovely. A sweet and summer Southern classic! 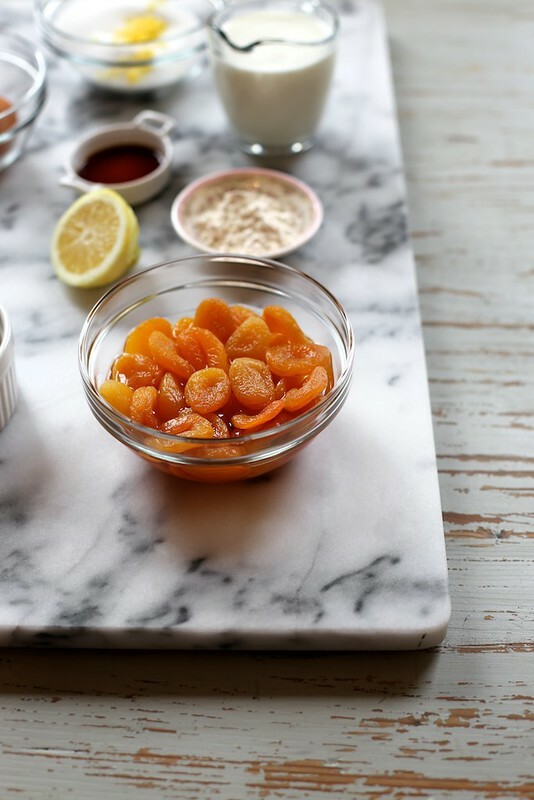 To make the filling, place dried apricots in a small bowl. Pour hot water and bourbon (if using) over the apricots and let sit for 5 minutes. 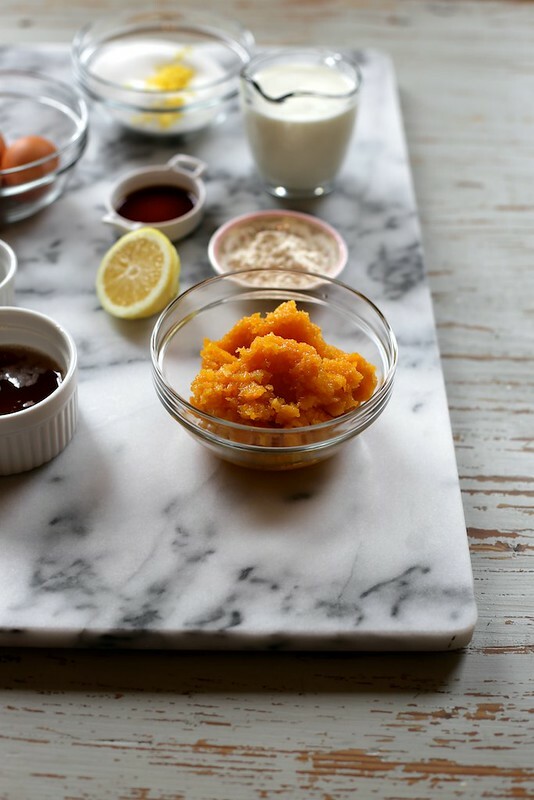 Place the apricots (water and bourbon included) into the bowl of a food processor fitted with a blade attachment. Process for about 3 minutes until almost smooth, lots of small bits will remain. Set aside. That's perfect! Add sugar and lemon zest to a medium bowl. Rub the two together with the back of a spoon. 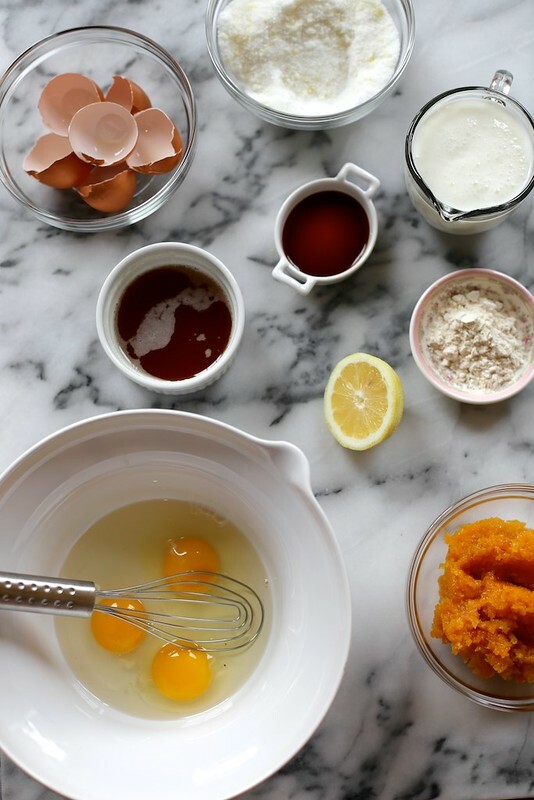 Add the eggs and whisk until thick and well combined. Add flour and salt and whisk to combine. Add butter and stir to incorporate. 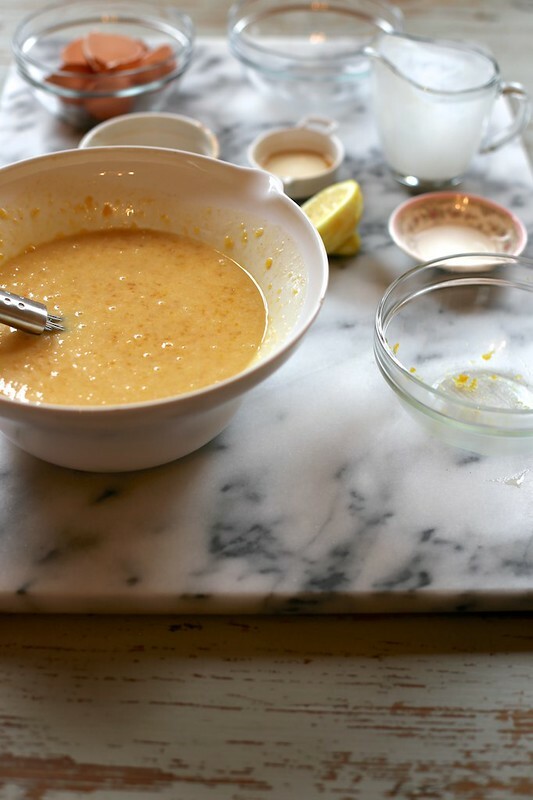 Lastly add buttermilk, lemon juice, and vanilla extract and whisk until smooth. Set aside 2 tablespoons of the apricot mixture for the topping and fold the rest of the apricots into the pie filling. Remove the pie shell from the refrigerator and pour the filling into the pie shell. 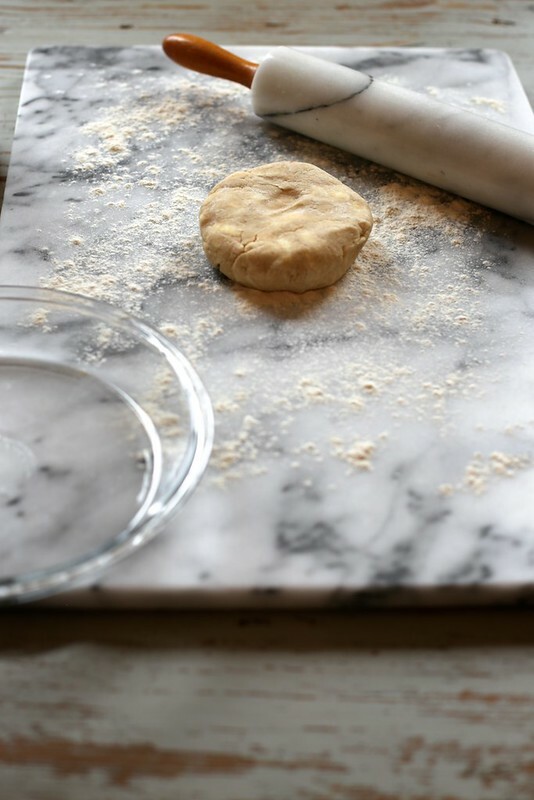 Place pie on a rimmed baking sheet and bake for 40 to 45 minutes until the pie is puffed up and the center no longer jiggles in waves. Remove from the oven and allow to cool completely. I think it's best to cool the pie to room temperature then refrigerate overnight before serving. To make the topping, stir together sour cream, powdered sugar, and reserved apricots. Spread over cooled pie. Slice and serve. Store pie, well wrapped, in the refrigerator for up to three days. This would definitely something “unique” among my repertoire, it looks very fun, and so delicious. It makes me itch to start baking it! I see your big, fabulous hat and I raise you a julip! That would totally pair with this pie, right? this recipe is also on the sweet side because of the sugar and apricots. i think that’s just a characteristic of the buttermilk pie. Is that right? I’ve never made buttermilk pie before that last time so it sort of turns me off but my guy always says he really likes buttermilk pie so I wanted to make something that both of us can enjoy. I will try again one day, thanks! now i’m plotting fresh apricot curd (despite the peeling)! Sounds lovely!! Thanks for posting this! LOVE your blog, btw. I’m planning on using almond/coconut milk + lemon juice to replace the buttermilk and cashew cream to replace the sour cream. Any plans for more dairy free/vegan/allergy friendly recipes in the future? thanks, Drea! i have a smattering of vegan/dairy-free recipes from time to time, but not a ton i must admit. I love chilled pie and this looks insanely delicious! Mind BLOWN. 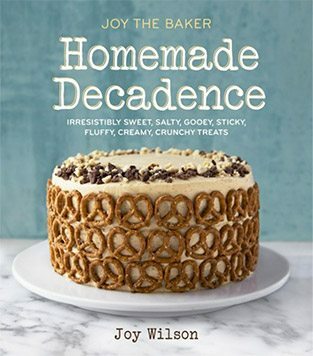 This is a definite “must bake”. Maybe apricot and bourbon whipped cream as a topping alternate to sour cream? apricot bourbon whipped cream will always be a win! i dont know why people dont wear more hats. its instant jazz! also i have been on a pie-baking kick and i blame you! i made my first crust from scratch using yoru recipe, turned out great! This looks wonderful! The first (and only since, lol) pie I’ve made was your blackberry blueberry (I think? there might have been another berry) one with the double-crust. Made it last summer and it was a wonderful way to end the season. Might have to do it again this year but with this recipe! My mom loves apricots in all forms. Thanks for sharing, Joy! Happy August (wait WHAT)! that blackberry blueberry pie was a dream! i’m so happy you made it! The pie looks wonderful — I will have to make it with a floppy hat and all. I love my peach tea — maybe I should try dry peaches — do they make dried peaches?? I love your marble. You inspired me to get a piece of granite to work on and take my photos, only problem is that I have to get my hubby to move it for me any time I need to change spots :-( Your photos are amazing. Oh I have anuch of dried apricots that are just begging to be made into this pie! Such a pretty way of using up fruit that , yes I hate normal store dried fruit too. Tasteless like pucks.Like the poster before, I definitely go for sulfured if you love the natural fruit sweetness; it is almost like candy. I encourage you to try the unsulfured dried apricots. They are brown, rather than orange but the flavor more than makes up for their looks – sweeter, more apricot. i know i’m supposed to use unsulfured dried apricots but i was feeling particularly vain the day i made this pie so i went with the pretty peach colored dried apricots. but you’re right! !